God did great things in West Africa. We've had meetings in several towns and villages across Nigeria. The response to the gospel is tremendous and the power of God is present. We've seen demons cast out and many healings. One lady came with a tumor in her stomach. During prayer she fell down and vomited it up! On Friday night a man died in the hospital and instead of taking him to the morgue, his brother drove him 50 miles to Gospel Village, where they were having an all night prayer meeting. The saints gathered around him to pray and he came back to life. Benjamin and I will never be the same. Praise God! 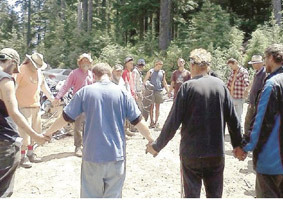 The Rainbow Gathering outreach was a big success, with some 40,000 attending. We set up our bus and free kitchen right at the main trailhead and ministered to hundreds of Newagers, hippies, and Rainbow kids. Our camp was always full of people drawn by the love of Jesus, christian music, and Bible reading. The gospel was preached, people got fed, over twenty commitments to Christ were made, and we baptized five of them in the river. To offset the cost of the trip, we worked security and clean-up at Sturgis Bike Festival. Having to contend with biker gangs, camping, no shade, and loud concerts, it was one of the harder outreaches. The bus engine blew on the way there and several miracles occurred because of that. I think the Lord allows these trials to show Himself strong and build faith in the team. 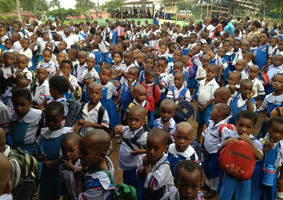 Ministry opportunities were everywhere and our presence made an impact on many lives. 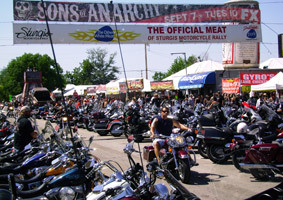 We will be going back to Sturgis in August 2012. Please pray for this outreach! Below are links to PDFs from recent newsletters. If you would like to receive our newsletter please email us and we will add you to our mailing list.